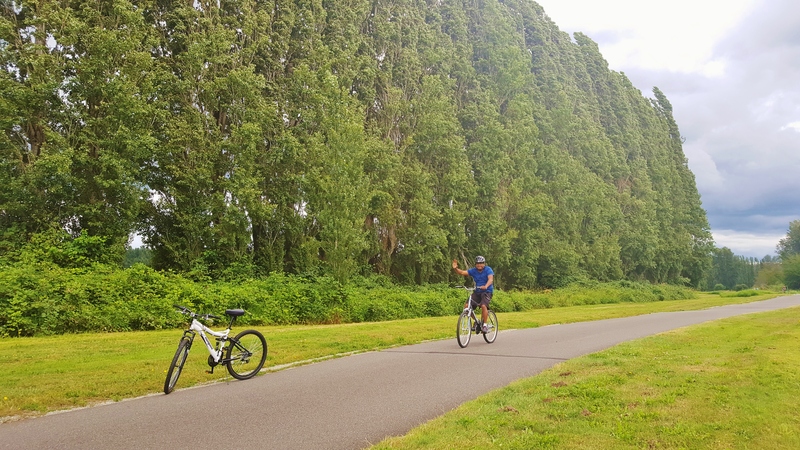 Biking has been one of our recent activities and have been wanting to do this as a regular routine during summer time for a very long time. Finally we carved out some time this year to experience the bike rides with friends and family. 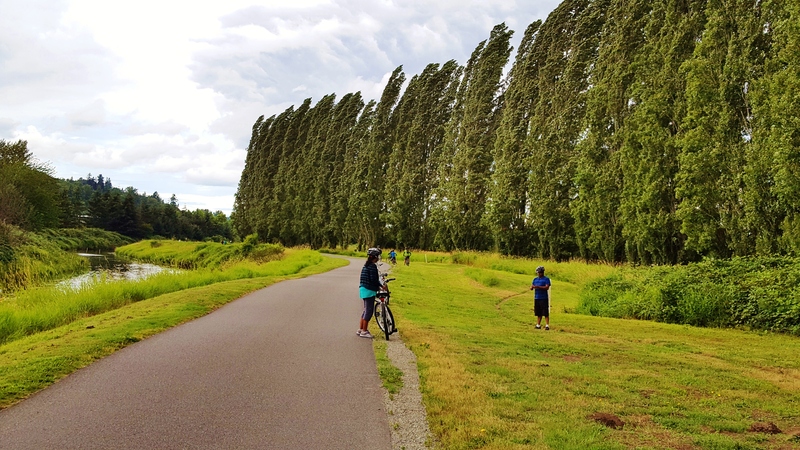 Seattle is a beautiful place to do bike rides as the place is full of green and beautiful scenic views throughout the routes. There are several bike routes available across the city and we wanted to start small to get used to the pace and momentum. Our first ride was a 6 mile round trip where we did the Lake to Lake Trail in Bellevue. 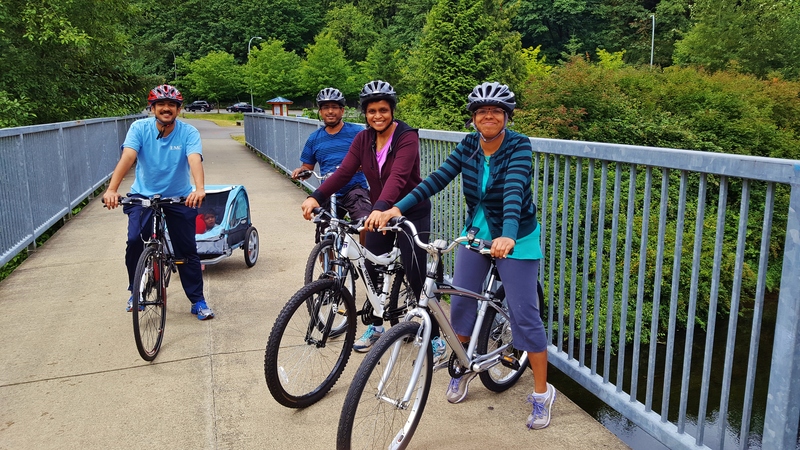 With that experience we wanted to do one third of the Sammamish River Trail that spans 40 miles with multiple routes across the cities of Redmond, Woodinville, Bothell and Sammamish. 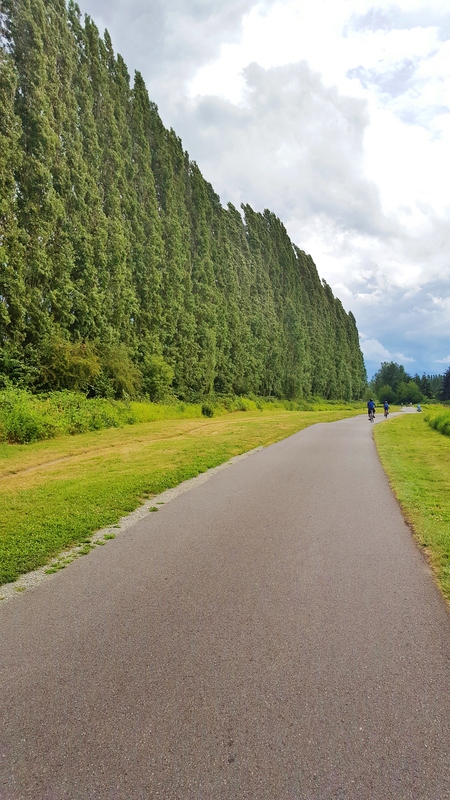 The Sammamish River Trail is a paved recreational trail running alongside the Sammamish River between Marymoor Park in Redmond and Blyth Park in Bothell. We covered 15 mile end to end and decided to do other routes some other time. Given we were fairly beginners, our ride was close to 2 to 2.5 hours with many stops in between for rests and photo shots. 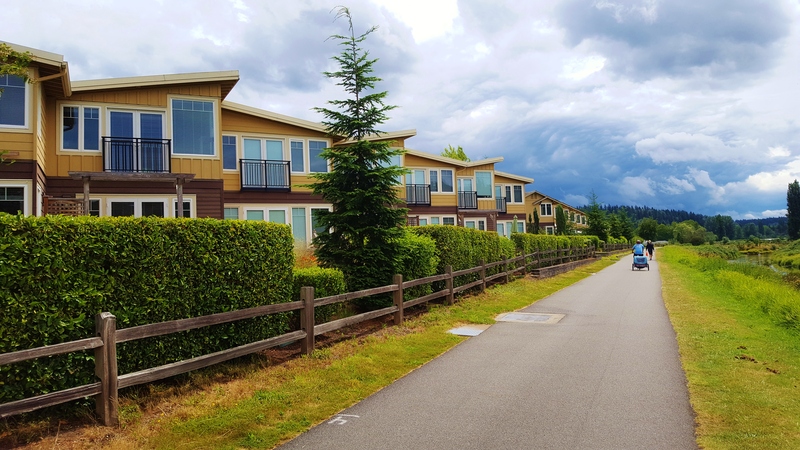 Our bike trail started in Redmond with the Sammamish river flowing like a canal bordered by park and buildings. Once you cross the city, you will enter the scenic views of the river valley lined by tall trees that feels like more of a rural one. 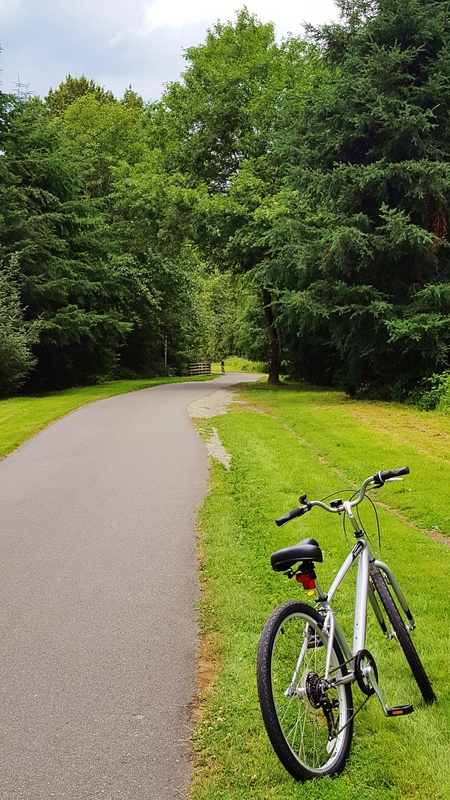 This trail is a very well maintained and there is paved road throughout the trail. Weather is unpredictable, so be prepared to carry the essentials needed from water to sunblock. We started out pretty late like around 11 AM and felt the heat when riding back. There are mile markers across the trail paths and good number of restrooms available on your way. 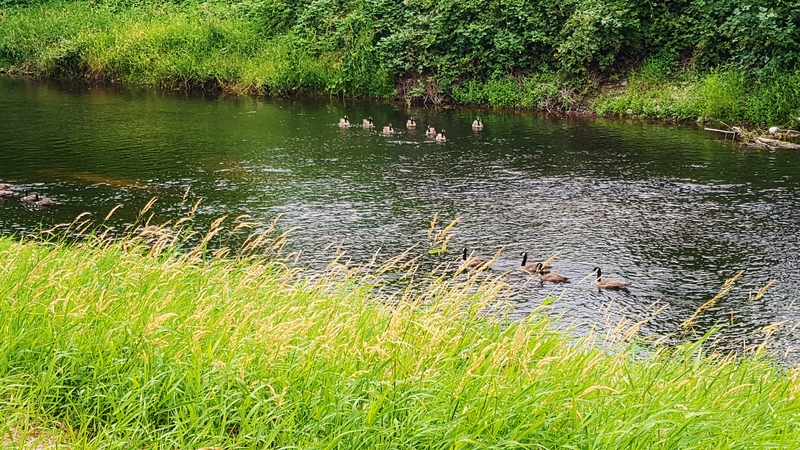 As you get closer to Woodinville, the trail gets even more beautiful and you get a glimpse of seeing kayak rides across the river. There are adventure parks nearby where you can rent kayaks and do zip-line tours. Initially I was little overwhelmed on the 15 mile roundtrip and was not sure if we would go back half-way round. The trail path, scenic views motivated me personally to complete the journey. This is one of a great bike riding experience that personally urged me to do more complex bike rides. I plan to cover my future bike riding experiences in the hiking section. So stay tuned ! Ducks Lined up – What a sight ! 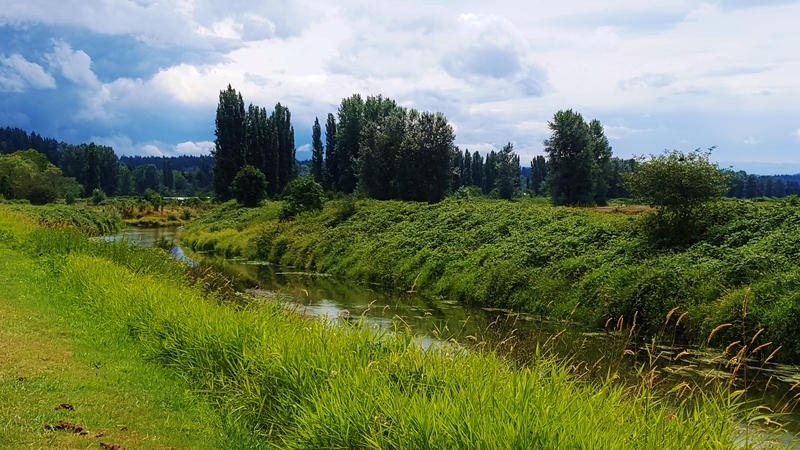 One Response to "Sammamish River Trail"